Flax seed pillows have the same function as cherry stone pillows. Despite the fact that these kinds of pillows are less popular, they might be even more comfortable! Because of the texture of flax seed, the pillow feels softer. This is the reason that flax seed pillows are often used at massage salons, hospitals and maternity facilities. 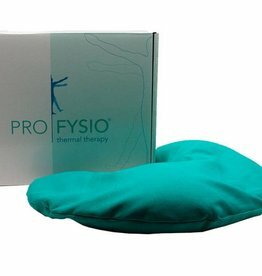 At Lagripro, we offer flax seed pillows of the brand ProFysio. You can either choose a horseshoe mode, which is very useful if you want to use the pillow for your neck, or the all-purpose model. Just like cherry stone pillows, flax seed pillows can easily be heated in a microwave or oven. 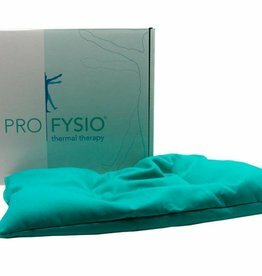 The heat will relax your muscles, which makes it the ideal pillow for muscle ache.